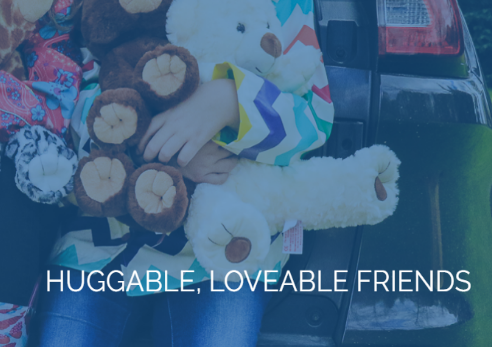 Take home back packs for stuffable animals, clothing, prizes, party favors, accessories and party gifts. 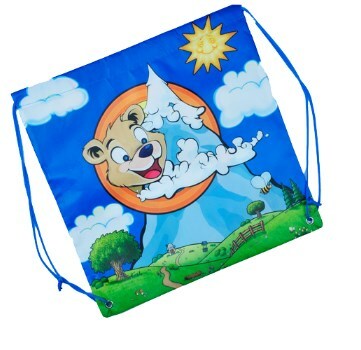 They have a colorful bear design and measure 14" x 14" flat and will accomodate all of our unstuffed stuffed animals, clothes and party favors. They are made of Tyvek which is a type of vinyl that is lightweight, but much stronger and more durable than boxes.